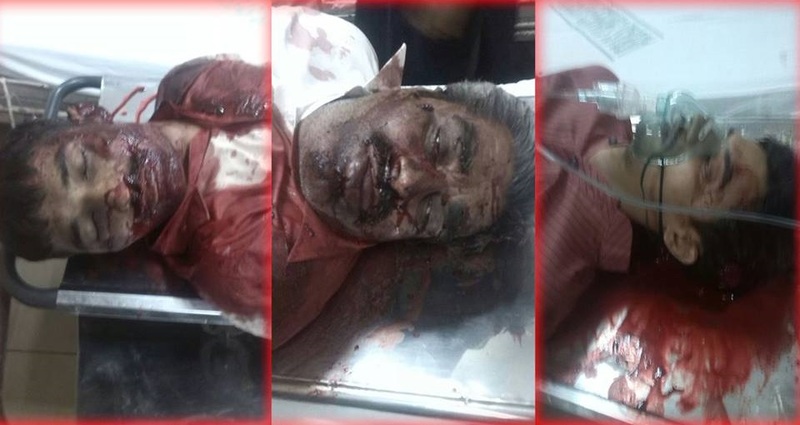 While a section of commercial liberals are busy in creating false moral binaries, 3 more innocent citizens of Karachi were murdered today. Their fault – they were Shia Muslims. Lately, a clear trend has emerged. When it comes to identifying the specific faith group of those who are responsible for over 90% of the terrorism in Pakistan that has claimed upwards of 70,000 Sunni, Shias, Christians, Ahmadis, Hindus and Sikhs, a certain group does its best to use vague and obfuscatory terms like “Islamists” etc. But when it comes to the lesser acts of extremism by other faith groups, this same groups springs into action. They not only use specific terms to identify the faith groups in action but also sweeping ly and collectively hold all adherents of that faith equally responsible! Specifically, radical/Takfiri Deobandi groups like Sipah Sahaba/ASWJ-LeJ, Taliban, Jundullah, Jaish, Jamaat ul Ahrar which are responsible for over 90% of terrorism in Pakistan are NEVER specifically criticised by these commercial liberals. on the contrary, this group get very upset and starts blaming those who use specific terms for fuelling a war. However, when it comes to other groups like Sunni Barelvis, Shias, Christians etc, these groups not only use specific terms to condemn any and every act of extremism and excess by these groups – they do not bother to add any qualifiers. In some cases, all adherents of that faith group are collectively tarred. Some of the more puritanical and self-righteous ones even make spurious allegations where they deliberately distort points of view. 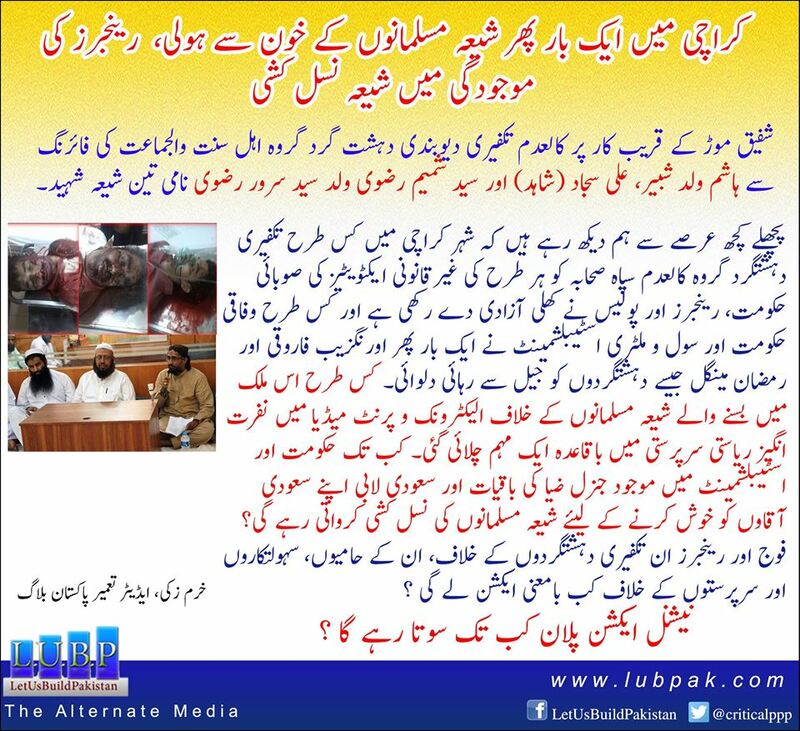 Today’s attacks reflect an ongoing pattern of Shia Genocide by banned takfiri Deobandi terrorist groups. But even in death, there is a grotesque sectarian bigotry on display by some of these commercial liberals and a disgusting display of double standards. On the other hand, acts of extremism and intolerance by Sunni and Shia radicals are amplified and condemned repeatedly and systematically to not only divert outrage away from ASWJ-LeJ and the Taliban. In many cases, the participation of Deobandi extremists in these acts of extremism such as the recent Islamabad protests are carefully whitewashed away.